Web Wise Kids and BeSeen: An Award Finalist! We are proud to announce that our BeSeen game has been selected as an award finalist by the Pittsburgh Technology Council! Web Wise Kids is a 2012 Design, Art and Technology Awards Finalist! 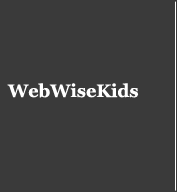 Copyright ©2012 Web Wise Kids. All rights reserved.